Rowing is a sport where no individuals are crowned the MVP. 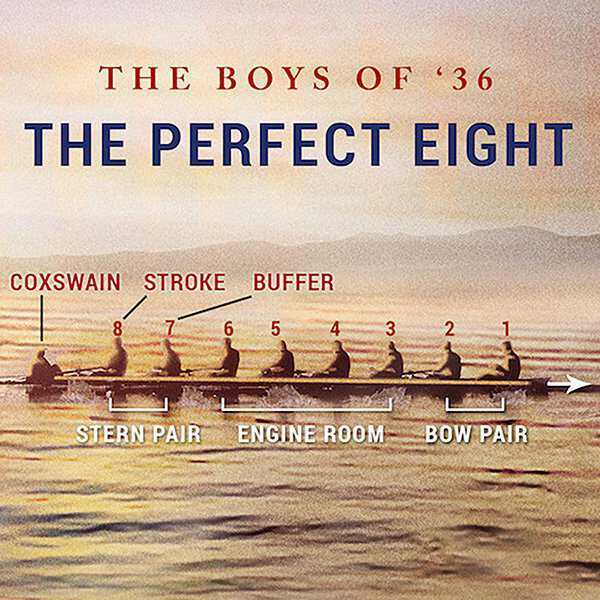 Each of the seats is as important as all the others, and it takes a perfectly synchronized crew to achieve "swing" on the water, the elusive perfect harmony of strokes. There are no time-outs, no substitutions, and the men and women who compete are among the most physically fit athletes in the world. On-the-water coach who steers the boat, navigates the course, and executes strategy. - Seated in the stern of the shell facing the stroke. - Usually the lightest member of the team, and has a minimum weight to meet. If not, crew is required to bring sandbags or to carry other deadweight to meet the boat weight requirements. - Uses an amplifier system that has a built in stroke rate meter and timer. Before 1978, coxswains used a megaphone that they wore strapped to their head to keep their hands free. Sets the stroke rate (the number of strokes taken per minute) and maintains it. - Must be one of the most physically fit in the boat and must also have the best rowing technique. - Provides feedback on the feel of the boat to the coxswain so they can make calls. Acts as the buffer between the stroke and the engine room and "passes" the timing of the stroke back to the rest of the boat. - Must perfectly mimic the movement of the stroke oar. - Like the stroke, they must also be in top physical condition and possess excellent technique. - Sometimes called the middle four. - The engine room is the widest and heaviest part of the boat. - They are in the sturdiest part of the shell so small movements do not impact the overall balance and performance of the boat. - These rowers must be consistent in producing power for the boat. - The bow pair must be able to perfectly mirror movements of the stern pair. - Besides the cox, usually where your lightest rowers sit. - Must be adaptable and quick in their movements. - The bowman finishes the race first and must have the second smoothest stroke in the boat. 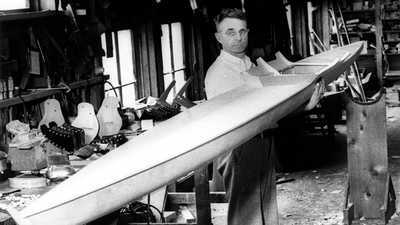 Rowing, commonly known as crew, has been a part of American sport since the early 19th century. 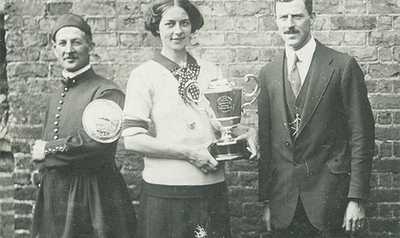 Lucy Pocock was a masterful oarswoman who once rowed so hard to win a race that she fainted when she crossed the finish line. Here, her granddaughter shares Lucy's story. Who Were The Boys of '36? In 1936, nine young rowers from the University of Washington electrified the nation when they won gold at the Berlin Olympics. Meet the boys who took home the medals.